He prefers vegan stories. No, not veganism stories (stories against meat), just vegan stories, i.e., stories without meat. He published Best Vegan Science Fiction and Fantasy of 2016 on Earth Day, April 22, 2017. Carl Slaughter: What exactly does metaphorosis mean? It’s the title of the placeholder story we ran before the magazine launched. We opened for submissions in October 2015, and had a pretty well-defined website by that point. I knew there would be people coming to the site, but of course we didn’t have any stories yet. I posted one of my own stories in early September to give people something to look at until we posted our first real story in January. It’s a method of understanding our surroundings through examination of allegory and parable. That’s what I call my ‘intellectual-sounding’ answer. While I do mean it to some extent, I don’t take myself anywhere near that seriously most of the time. I believe in the value of writing beautifully, and metaphor is an important stylistic tool. Take Molly Etta’s story, “Solomon and the Dragon’s Tongue” – in it, a husband, writing to his wife, says, “Every day the sky has been white as paper, only marked by a few black flecks: birds, arranged like dashes, abandoned on a wordless page.” That’s worlds away from saying “The sky is white with clouds and a few birds and I miss you and I’m lonely.” Metaphors are not only a convenient shorthand, but a powerful way of reaching the emotions and associations we all have and rely on to interpret and colour our lives. So, the magazine’s name was a nod to that (which really is answer #2, taken seriously). CS: Is that in the dictionary or did you coin the word? BMA: It’s completely invented. The story it came from was a reversal of the mechanism of Franz Kafka’s “Metamorphosis” – instead of Gregor Samsa becoming a bug, everyone around Sam Gregson turns out to be a bug. I drew heavily on metaphor in the story to hint at the concept – bus taillights that look like fireflies attracting mates, for example. Eventually that reliance on metaphor became the title of the story. CS: What was the motivation/inspiration for a new speculative magazine? BMA: I think it’s probably the same as for most new magazines – I didn’t see anyone publishing enough of the kind of material I liked. There are a number of very good, very impressive magazines out there – Shimmer, Beneath Ceaseless Skies, F&SF, Clarkesworld, Tor.com. They all publish loads of great material from very talented writers. But some of them have a definite tone to them – after a while, all the stories start to sound the same – and they all occasionally publish work that I think is just terrible. It’s a matter of taste, of course, but I thought there was room enough in the market for a venue that reflected my tastes and that of people like me. CS: What type of stories do you publish? BMA: As you’ll have gathered, our primary focus is on beautiful writing. That doesn’t always mean ornate, though – my wife likes to remind me that Isaac Asimov did just fine with simple, accessible language without all the frippery. And style isn’t all there is. In addition to great writing, we want engaging characters that we care about, interesting ideas, and complete stories rather than vignettes. And we give bonus points if the story is vegan (though most of what we publish is not). We tend to publish a fair amount of roughly contemporary stories, but I’d love to see more hard science fiction and epic fantasy. CS: What type of stories do you not publish? BMA: First off, we only publish science fiction and fantasy. Sometimes epic high sorcery, sometimes light contemporary tech stories; but if there’s no tinge of the speculative, it’s not for us. We don’t publish tired or trendy ideas – I have yet to see a vampire/werewolf story I’m interested in. Time travel is a very hard sell – I came close with a recent meta-story about the editor of a small magazine who gets a time travel story with all the usual tropes and clichés, but while it was fun, it was still a time travel story. CS: Do you specifically look for new writers or are you open to all writers? BMA: We’re open to all writers; frankly I just don’t care whether or what they’ve published before. We deliberately don’t allow for a cover letter, and after a brief flirtation with non-anonymous submissions, we’re back to blind reading, or as close to it as we can get. Due to our fee structure ($.01/word), we get more emerging writers than big names, but we do get both. I’ve been pleasantly surprised at the quality of the work that comes in; there’s a lot of good writing out there. CS: What are the submissions requirements? BMA: We state the content requirements as simply as we can: beautiful writing showing engaging characters in science fiction or fantasy settings. Administratively, less than 10,000 words, anonymized, no reprints, no multiple submissions, and in the industry standard format. The thing people seem to have most trouble with is the anonymization, even though our guidelines are only 150 words, and the anonymization requirement is in bold red letters. For those who do like more detail, there are links to some “don’ts”. CS: What’s more important, the story or the storytelling? BMA: The storytelling. But you can’t have storytelling without a story, so that’s a prerequisite. If there’s no story, we’re not buying – no slice of life pieces, no vignettes, nothing that doesn’t tell a complete story. It’s surprising how often those non-stories come in. Once past that hurdle, though, storytelling skill and style carry a lot of weight. Again, it’s not everything – we also need characters we can engage with and care about. CS: What’s more important, character, plot, or premise? BMA: Character, premise, and plot, in that order. Without engaging characters, there’s no reason to care what’s happening in a story; as readers, we won’t be invested or emotionally involved in the outcome. On the other hand, give me an interesting character with desires and motivations, whether appealing or evil, and I want to know what happens to them and their world. Do they get what they want? What they deserve? If the characters aren’t there, it’s hard for the rest to matter; it’s like reading a technical manual – maybe a few sparks of interest, but mostly tedious. With an engaging character, written beautifully, I’d read a story about them reading a technical manual. CS: Why should authors submit to you, rather than other venues? Speed – we aim for a same-day response to most stories, and so far we’ve stuck to that. In fact, we’ve got an informal rule that we don’t respond in less than an hour, just to avoid hurt feelings. Sometimes travel slows things down, and stories we’re considering may take up to a week to decide on, but the vast majority of stories get a response within 24 hours. Feedback – I know how frustrating it is to send out stories and get only form rejections in response. I read all the way to the end of each story we get, and offer brief, blunt feedback to anyone who wants it (most do). It’s just a few sentences, but I try to give at least some sense of why we didn’t buy the story, including how close the prose was to what I look for, and at what point in the story I knew I didn’t want it. For our Patreon supporters, we offer overview feedback – what positive and negative trends we see over the course of several stories – that gives more detailed feedback on areas that might need attention. Editing – the biggest surprise for me about running the magazine was how much hands-on editing I end up doing. I went in expecting to buy stories as they are, but the fact is that most stories aren’t perfect when they come in. We generally go through a few rounds of back and forth, looking at structure, balance, and polish. I’ve also been surprised by how much fun this is, and how well writers respond to it. I’ve done quite lot of polling, and most writers enjoy the editing process and feel their stories are better at the end. So, while there has to be a good story and good writing to begin with, if I see promise in a story that’s not quite there, I’m happy to work with the author on making it better. We also provide a fairly detailed rejectomancy section, to help make sense of that brief feedback, and thorough submission statistics, for those who want to dig into them. CS: What type of stories do you yourself write? BMA: I write a pretty broad range, from lightly technological SF to grand fantasy, some light-hearted, some dark. On average, though, I’d say they’re often mood pieces – that is, there’s (I hope) a solid story I’m telling, but the trigger for a story is the feeling I’m trying to evoke. The things my characters do often surprise me, but I’ve usually got a pretty firm grasp on what they’re feeling and how I want the reader to feel. Stylistically, I’m much more (aspirationally) on the Zelazny, Vance, McKillip side than the Asimov, Heinlein, Dickson side. CS: How has your background in science made you a better speculative writer? BMA: I like to get the foundation right. Partly for that reason, I don’t write much hard science fiction; my biochemistry degrees are well out of date, and it’s a rapidly changing field. Doing hard science fiction well requires solid knowledge. 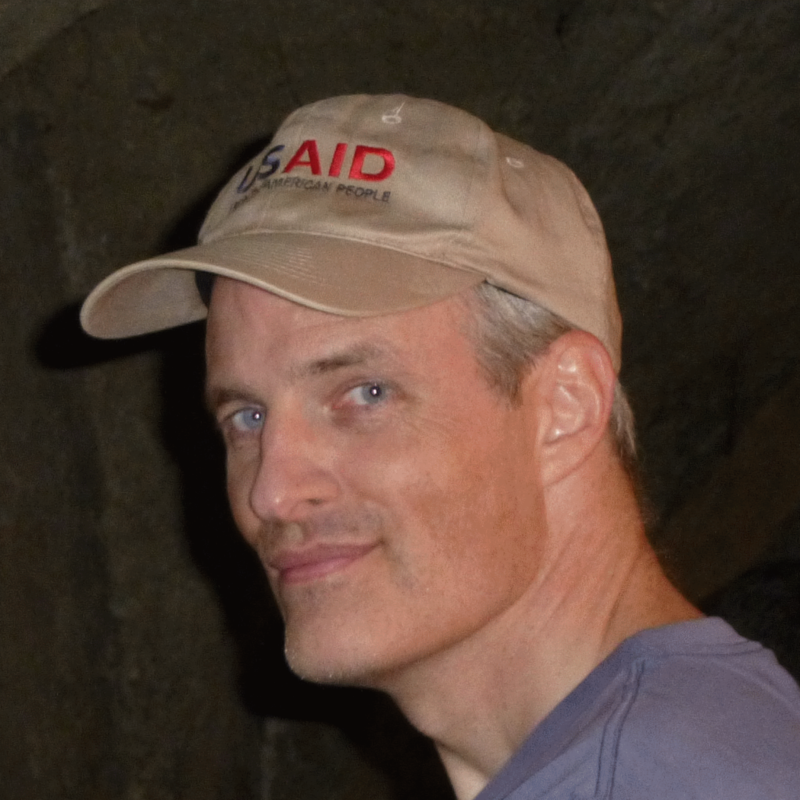 I generally have an analytical, evidence-based approach to the world, but that may be what drew me to science, rather than the other way around. I do think that my somewhat antiquated base knowledge gives me a foundation for evaluating the science in the stories I see, and the vocabulary to investigate it. For example, I recently saw a story that used lumens as a measure of light intensity. I knew just enough to have the feeling that the value given was off by at least an order of magnitude, and to be able to find out what a better value might be. In another story about spaceflight, I was able to do a quick check of whether the parameters for acceleration and duration were in the right ballpark, and suggest better options. So, I’m comfortable looking into science and technology, and not just taking things on faith. It’s not just about science, though – in an alternate history story, I’m just as likely to check on whether a particular piece of slang would have been used during the time period. Essentially, I have an interest in getting the basic elements and right, when it’s easy to do so. Of course, I apply the same principles to my own writing. I spend a lot of time looking things up, to make sure I have at least a vague grasp of the terminology and limits of whatever I’m writing about. Note, though, that I’m not calling this research. Writers who do real research do a lot more than look up the right words. What I’m doing is just using my background knowledge to get a toehold in a topic and get some of the color right. CS: What’s on the horizon for Morris Allen? BMA: I started a new day-job at the beginning of the year, with lots of travel, and unfortunately, it’s meant choosing between writing and running the magazine (the magazine won easily). 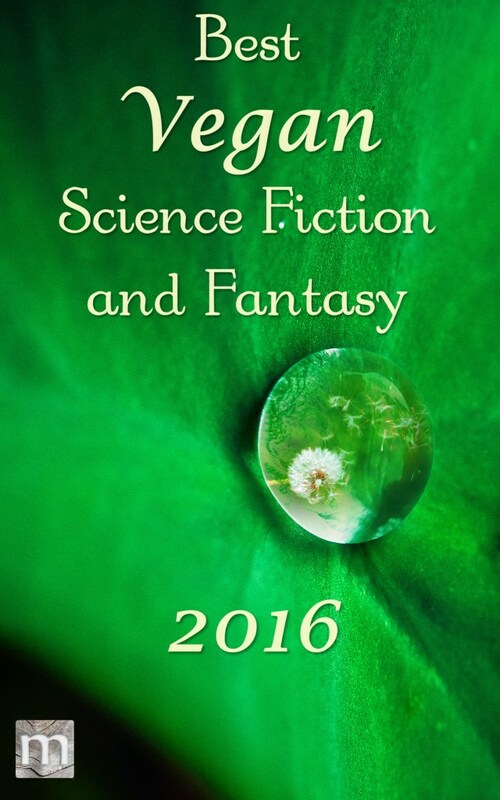 We’ve just published the Best Vegan Science Fiction and Fantasy of 2016 – a collection of great stories that aren’t about veganism, but just happen to be vegan. No preaching, just good speculative stories that aren’t about hunting, horse-riding, etc. It came out on Earth Day, 22 April. I’ll also soon be self-publishing a novel – Susurrus – about an evil sorceress. It started as a brief sketch about a woman trapped in a desert by her enemies, but I found I wanted to explore how she got there and just why she turned out the way she did. No one grows up wanting to be evil, and of course my sorceress doesn’t either. It’s just that magic seems to work out very badly for her. It’s grim and dark, but romantic as well. This entry was posted in Sercon and tagged B. Morris Allen, Carl Slaughter, Metaphorsis by Mike Glyer. Bookmark the permalink. We don’t publish tired or trendy ideas… No preaching, just good speculative stories that aren’t about hunting, horse-riding, etc. 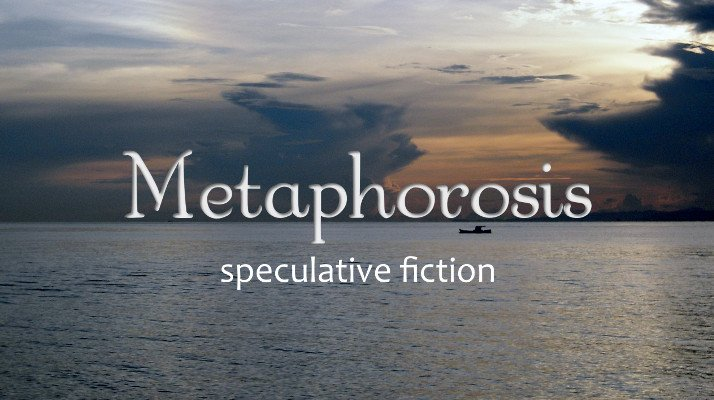 @JJ: I nominated one of Benjamin C. Kinney’s stories from “Metaphorosis” this year. It had more to it than a nutty nugget, FWIW. Kendall: I nominated one of Benjamin C. Kinney’s stories from “Metaphorosis” this year. It had more to it than a nutty nugget, FWIW. Thanks for the heads-up on that. I’ll try to take a look. However, I wasn’t commenting on the content or quality of the stories, as I have not read them. I was commenting on the dubious rhetoric being used to market them. @JJ: I got that. I was offering that as a “sometimes the rhetoric can be misleading.” On the other hand, “I liked a story” doesn’t really refute anything, I suppose, heh. 😉 And I understand that whether intended as such or not, some words or phrasing can be off-putting regardless.